The Bachelor host Chris Harrison previously teased Colton Underwood's journey is going to be a gut-wrenching and wild ride, but he still has nothing but good things to say about the show's new star. "What I will say is that he did a good job," Harrison told The Hollywood Reporter in a recent interview of Colton's performance in the role. "He's happy with how he did as the Bachelor, I can tell you that for sure. I don't think he has any regrets." When Colton was announced as The Bachelor's Season 23 star back in September 2018, Bachelor Nation was split down the middle either for or against producers' decision, especially considering Blake Horstmann and Jason Tartick were also up for the position. Colton -- although handsome, athletic and kind -- was a polarizing character due to his emotional outbursts on Bachelor in Paradise and claims he doesn't know what he wants or isn't ready to settle down yet given his lack of dating experience. The Bachelor viewers have also been concerned Colton's virginity storyline will be redundant. And on top of all that, the following question remains every season for a Bachelor or Bachelorette: Is he or she genuine? "I know that people are questioning and are worried about Colton. He's a really good man. He's a gentleman; caring, loving and unbelievably generous," Harrison explained. "He has a self-deprecating sense of humor and is goofy at times. But at the same time, he's vulnerable. When you see such a big, strong guy -- and he is a hulking man -- break down in tears and really let it go, I had to give it up to him. It's not an easy thing to do." Harrison acknowledged Colton has already received his fair share of backlash and criticism -- and the season hasn't even premiered yet. "Whether it's negative press or talk about his virginity, the guy has taken a lot. He's 26 years old. I don't know if I would have been prepared to emotionally handle all the crap he's gotten," Harrison told The Reporter. "That's a lot for somebody to take and he's handled it like a gentleman and has not lashed out. That's not an easy thing to do when you're a competitive, proud, strong person in your 20s. So I give the guy a lot of credit." Harrison also added The Bachelor crew fell in love with Colton and his personality behind the scenes. "He was unbelievably gracious and kind and the crew and everybody absolutely loved working for him. He made it super easy because I think everyone fed off his vibe," Harrison insisted. 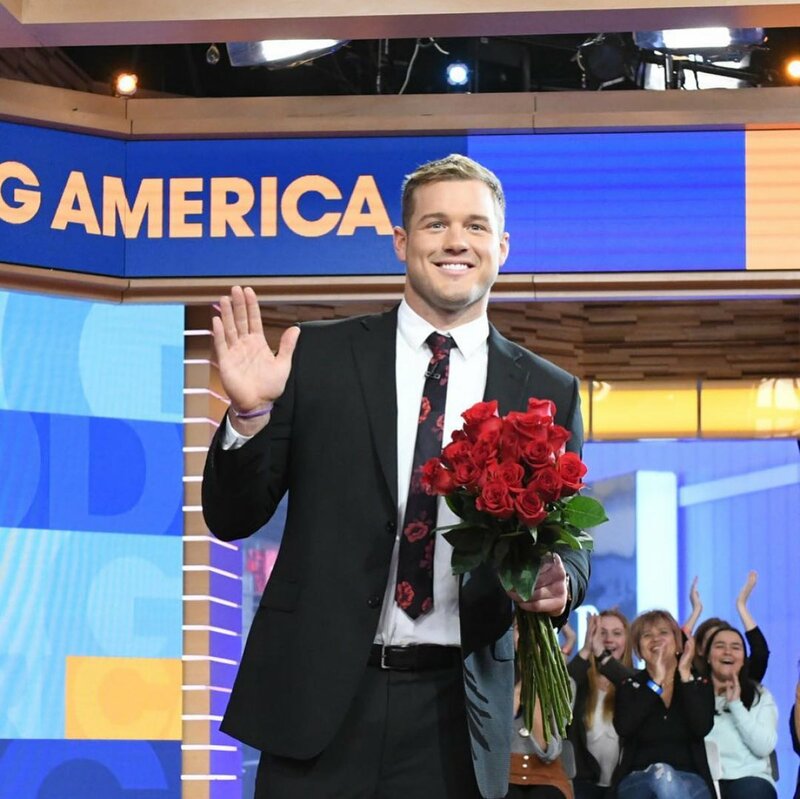 RELATED LINK: 'THE BACHELOR' SPOILERS: COLTON'S PRIOR ALLEGED ENDING WAS WRONG, SEASON 23'S FINALE IS EVEN MORE SHOCKING! Colton's The Bachelor season is set to premiere on Monday, January 7 at 8PM ET/PT with a special three-hour event on ABC.